What is a Vermont Last Will and Testament? 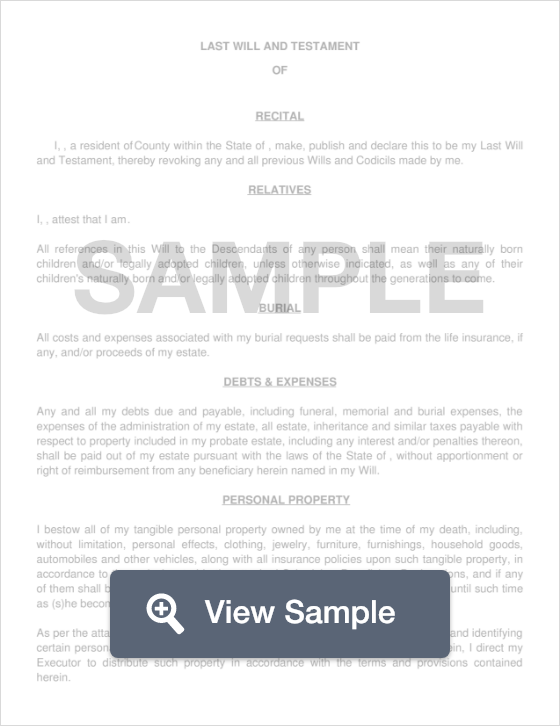 Vermont Last Will and Testament: What Is It? In the state of Vermont, a Last Will and Testament is a document that allows a Testator to pass his or her assets to the beneficiaries of their choice without worry that someone will take the items or assets away from them. For example, Joanna can write in her Will that she leaves her vehicles to her son, her home to her daughter, and leaves her financial assets to the charity of her choice. In Vermont, this document is legally enforceable as long as it is notarized and signed by two witnesses in the presence of the Testator. Regardless of who does and does not approve, the Last Will document will hold up in court. This is extremely helpful in the case where beneficiaries must deal with financial institutions. Witnesses - According to 14 V.S.A § 5, the Will must be signed by two (2) witnesses in the presence of the Testator.